Five-time Olympic medalist, Hayley Wickenheiser is regarded as one of the best female hockey players in the world with an uncompromised determination and dedication to her sport. However, it’s not just her lethal slapshot that is respected by her teammates, fans and peers; Hayley is also an award winner, community leader, mentor, history-maker and an accomplished businesswoman. Hayley shares the importance of always look for improvements or opportunities for change within your life. Hayley offers some inspiration for the next generation of athletes and sports in Canada to perform even better. Complacency kills! Hayley offers advice on how to keep the desire alive. Hayley can provide customized presentations to fit your event or project theme. Hayley has been sharing her passion and knowledge for the game of hockey for 15 years. She delivers inspiring keynote speeches relaying stories from her five Olympic games for charity, school, and corporate events. 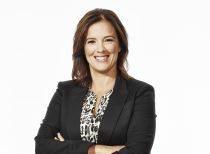 Hayley has worked with clients such as Canadian Tire, Farm Credit Corporation, Merck, Enbridge, Encana, Clean Air Champions, Red Flag, and Hockey Hall of Fame. It all started at age 15 in Shaunavon, Saskatchewan when Hayley was chosen for the Canadian Women’s National Team. She has since led the squad to six gold and one silver medal at the Women’s World Hockey Championships. As an Olympian, she earned a silver medal at the 1998 Winter Olympics and four Olympic gold medals in 2002, 2006, 2010 and most recently at the Sochi 2014 Winter Olympics. For the 2014 Sochi Olympics, Hayley was selected to be the flag bearer for the Canadian Olympic team in the Opening Ceremonies. During those same Olympics it was announced that she had been elected to the International Olympic Committee’s (IOC). Athletes Commission. Accompanying all that hardware, Hayley was one of the top point leaders for the Sochi Tournament. 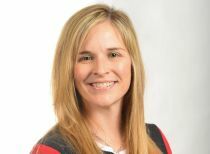 She was named the tournaments’ most valuable player in the 2002 and 2006 victorious Olympic runs as well as in numerous Esso Women’s Hockey Championships. Wickenheiser’s passion for sport is matched by her desire to give back to the community in her work with organizations such as JumpStart, KidSport, Project North, Right to Play , Ovarian Cancer Canada and many others. In 2007, she travelled to Rwanda with a team of Canadian Olympic athletes for Right to Play, an athlete-driven, global organization using the transformative power of play to educate and empower children and youth. In 2011, she returned to Africa on a similar goodwill mission to Ghana.